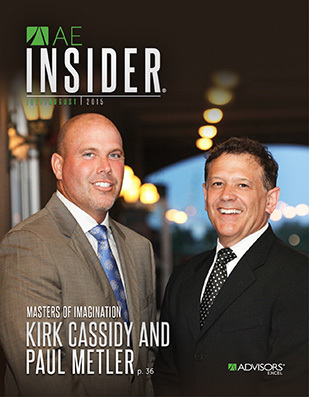 Kirk Cassidy is the president of Senior Planning Advisors and Strategic Investment Advisors. He is a fiduciary who holds a Series 65 securities license, as well as a life insurance license in Michigan and many other states. In addition, Kirk is an advisory board member for a $6.5 billion institutional money management firm. Over the years, Kirk has helped hundreds of people all over the country retire with a comprehensive retirement plan that best fits their needs. He believes that proper tax planning can help increase asset performance in retirement without taking on greater risk. As a result, he developed an asset allocation model that provides clients with a roadmap to help preserve and distribute financial assets, while also helping to increase their wealth. This model, which integrates guaranteed* income planning, wealth management, tax-minimization strategies, long-term-care planning and legacy planning, makes Kirk a retirement income planning specialist, sought after by high net worth individuals looking for a retirement plan and by other advisors, money managers and licensed agents around the country. 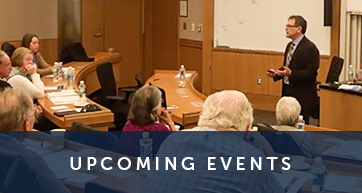 A nationally recognized speaker, Kirk also writes a quarterly article for Kiplinger and teaches classes that are held at the University of Michigan, Eastern University and Wayne State University. 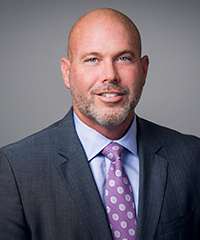 Kirk has extensive experience in charitable planning and helping clients utilize charitable strategies that allow them to fulfill their philanthropic goals while more effectively managing tax liabilities. He has been actively involved in a number of charitable organizations, including serving on the boards of directors for the Don Ferrarese Charitable Foundation and United Charitable. In addition, Kirk co-founded the Brent G. Cassidy Family Foundation and has developed and managed a national planned giving program for the Leukemia & Lymphoma Society. Kirk and his wife, Jessica, have two children and live in South Lyon, Michigan. *Guarantees are based on the claims-paying ability of the insurance carrier. Paul Metler is the co-president of Senior Planning Advisors – Ann Arbor, and is an Investment Advisor Representative for Strategic Investment Advisors. He holds a Master of Business Administration degree from the Ross School of Business, University of Michigan, and has 20 years of experience in clinical, academic, administrative and executive leadership positions in public and private health care systems. Paul has developed and managed several businesses in both the private and public sector, serves as adjunct faculty at Western Michigan University and has been a guest speaker and presenter on several topics related to aging within hospital, clinical, governmental and business settings. Paul completed his doctoral training in clinical psychology and completed a postdoctoral psychology fellowship at Northwestern Memorial University Hospital, specializing in older adults. Paul holds a life insurance license in Michigan and a Series 65 securities license. Paul has extensive experience working with retirees and their families, helping them cope with the financial challenges that come with aging and the retirement process. He is well-versed in the issues that arise in the aging process, including decisions regarding health care decisions and end-of-life care. He understands and appreciates the financial, physical, psychological and developmental challenges that often occur during the stage of life when an individual transitions from the working years to retirement. 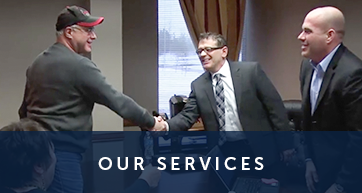 For Paul, helping his clients manage the apprehension that may result from this transition into and during retirement is extremely important and is a critical part of working with individuals planning for retirement. Jessica has been working with Senior Planning Advisors and Strategic Investment Advisors alongside her husband, Kirk. In addition to serving as COO at Senior Planning Advisors, Jessica stays busy raising the couple’s two children, Samarra and Trae. She holds her life insurance license in the state of Michigan and California and is also a Certified Interior Decorator. 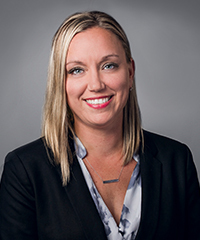 Jessica is involved with many charitable foundations, and has donated her time to raising millions of dollars for the Leukemia and Lymphoma Society, Don Ferrarese Charitable Foundation and Wounded Warriors. 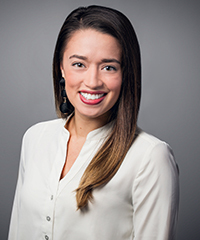 Jessica is also the co-founder of the Brent G. Cassidy Family Foundation and has been nationally published by the Take Back Your Time initiative. Rachel is our senior relationship management specialist for both Senior Planning Advisors and Strategic Investment Advisors. She has a bachelor's degree in accounting from Minnesota State University – Moorhead, MN. 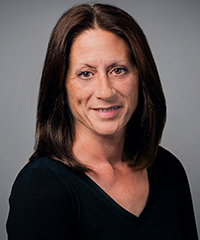 She has had many years of experience working in the accounting field as an internal auditor, business manager and accountant. Rachel assists in the planning process. She brings a unique aspect to planning with her accounting background. Rachel and her husband, Pat, have two boys — Matthew and Lucas. In her free time, she enjoys cooking and gardening. Don brings a diverse educational background to Senior Planning Advisors. He graduated with a Bachelor of Business Administration in Accounting from the University of Michigan-Dearborn in 1985, and received an MBA in Human Resource Management from Eastern Michigan University in 1995. In 1998, Don further expanded upon his educational credentials by completing the Certified Financial Planning program at Baker College of Business, and is a Certified QuickBooks ProAdvisor. Don has assisted closely held businesses and individuals with tax issues and preparation since 1984.He takes pride in providing personalized service to clients. Jameson is our Client Service Representative. She has a degree in Business Finance from Belmont University in Nashville, Tennessee. She loves getting to work with clients to promote healthy relationships and help deliver the best financial service possible. 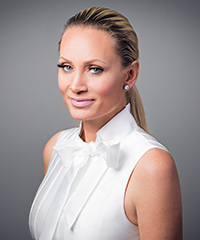 She has experience in financial planning and wealth management. In her spare time, she loves college football and basketball as well as trying new local restaurants. Josh Jackson is a para planner at Senior Planning Advisors and Strategic Investment Advisors. He has worked in the insurance and annuity industry since 2011. 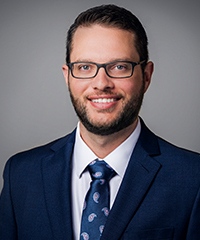 After graduating with a Bachelor of Arts degree in finance from Washburn University, Josh began working on the case design team for a field marketing organization, using annuities to help build income plans for independent financial advisors across the U.S. He has assisted in building thousands of retirement income plans that work for each client’s unique situation and eventually became the leader of the case design team. Josh has passed the Series 65 securities exam and holds life and health insurance licenses in Michigan. He also holds the RICP® (Retirement Income Certified Professional®) designation from the American College of Financial Services. Josh is married to Kelsey and likes spending time with family and friends and doing anything outdoors. 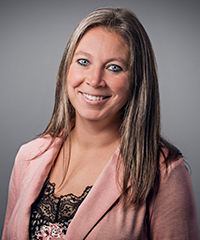 Krystal began her career in the property and casualty insurance business and holds P&C licenses. She then spent the last decade on the securities side of the financial industry, running an operations team for a large Registered Investment Advisory firm supporting over 450 offices. This experience helped Krystal acquire vast knowledge of operational efficiencies and client service protocol. Krystal and her husband, Moses, have two children, Sienna and Leo, who keep them busy outside of work. In her free time, you will find Krystal and her family on the water or the golf course. 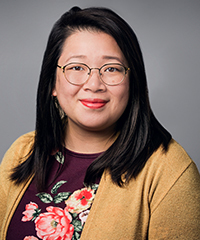 Tiffany Wong has worked in the customer service industry for more than 13 years. Prior to working for Senior Planning Advisors, she worked as an insurance agent. Tiffany studied communications at Western Michigan University, where she met her future husband, Brandon. They are now happily married and enjoy the adventure of raising their 1-year old son, Monroe. The fun of being a new mom keeps Tiffany on the run. But when she gets a chance, Tiffany enjoys trying out new restaurants and crafting creative art projects. Joan comes from a background in banking and has many years of experience in management, leadership and customer service roles. Joan is excited to be a part of the Senior Planning Advisors team and looks forward to assisting our clients. Outside of the office, Joan is a single mother raising at 14-year-old son who loves to play baseball. She also has an adult daughter who works in pediatric diabetes research at Michigan Medicine. She could not be prouder of her children. In her spare time, Joan enjoys spending time outdoors working in the garden, going for walks, and enjoying the sunshine and natural beauty of the farming community where she lives. Marc is a partner of the Bloomfield Hills law firm of Witzke, Berry, Carter & Wander, PLLC. Marc has been licensed to practice law in Michigan since 1992. His practice is devoted to estate planning, elder law and business succession planning. He is a former president of the Detroit Chapter of the Society of Financial Service Professionals. 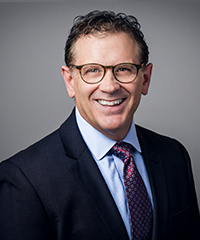 Marc is a member of the Probate and Estate Planning Section of the State Bar of Michigan and is a prior chairperson of the Oakland County Bar Association Tax Committee. 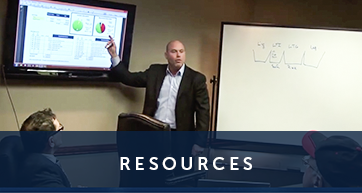 He is a frequent continuing education speaker to insurance agents, financial advisors, CPAs and financial industry organizations. Kirk Cassidy is the president of Senior Planning Advisors and Strategic Investment Advisors. He is a fiduciary who holds a Series 65 securities license, as well as a life insurance license in Michigan and many other states. In addition, Kirk is an advisory board member for a $6.5 billion institutional money management firm. Over the years, Kirk has helped hundreds of people all over the country retire with a comprehensive retirement plan that best fits their needs. He believes that proper tax planning can help increase asset performance in retirement without taking on greater risk. As a result, he developed an asset allocation model that provides clients with a roadmap to help preserve and distribute financial assets, while also helping to increase their wealth. Paul Metler is the co-president of Senior Planning Advisors – Ann Arbor, and is an Investment Advisor Representative for Strategic Investment Advisors. He holds a Master of Business Administration degree from the Ross School of Business, University of Michigan, and has 20 years of experience in clinical, academic, administrative and executive leadership positions in public and private health care systems.